Price Is $624.95 Plus Shipping. 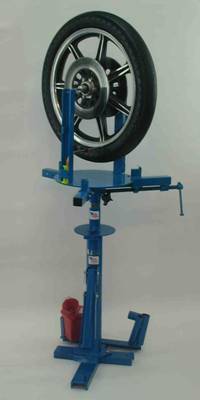 The Model MC110.100 is our original motorcycle tire changer. The MC110.100 motorcycle tire changer lets you change tires on mini-bike and motorcycle wheels with rim diameters from 8 inches up through 21 inches. 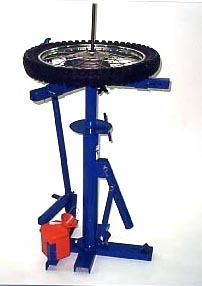 The motorcycle tire changer is complete with bead breaker and mount/demount bars. The MC110.100 comes with our custom wheel bar for motorcycle and other wheels with aluminum, chrome, or painted rims. The custom wheel bar tire tool prevents scratching and gouging of these wheels. The inserts on the bars will last for many uses, but can be easily replaced when needed. The MC110.100 also comes with the standard steel bar, that can be used when changing standard steel rims on ATV's, garden tractors, and cars and pickups; all wheels you can do on the lower stand of the MC 110.100. The Wikco MC 110.100 motorcycle tire changer is more versatile than any other motorcycle tire changer made. The MC 110.100 is reasonably priced, made in the USA, and has a 2 year warranty. Accessories Available For the MC110.100 Motorcycle Tire Changer. The Model # 110.HA Hitch Attachment allows you to mount any of the Wikco brand tire changers to your car or truck 2 inch receiver hitch. This includes the model # MC110.100 motorcycle tire changer, model # MC110.200 motorcycle tire changer, and the model # STC100.103 manual tire changer with the small tire accessory. One end of the attachment bolts to the tire changer using the 2 U-bolts and the 2 V-shaped clamps (included). The other end inserts into the 2 inch receiver hitch on your vehicle. The hitch attachment gives you approximately 20 inches of length from the end of the receiver hitch, and is adjustable several inches up or down. 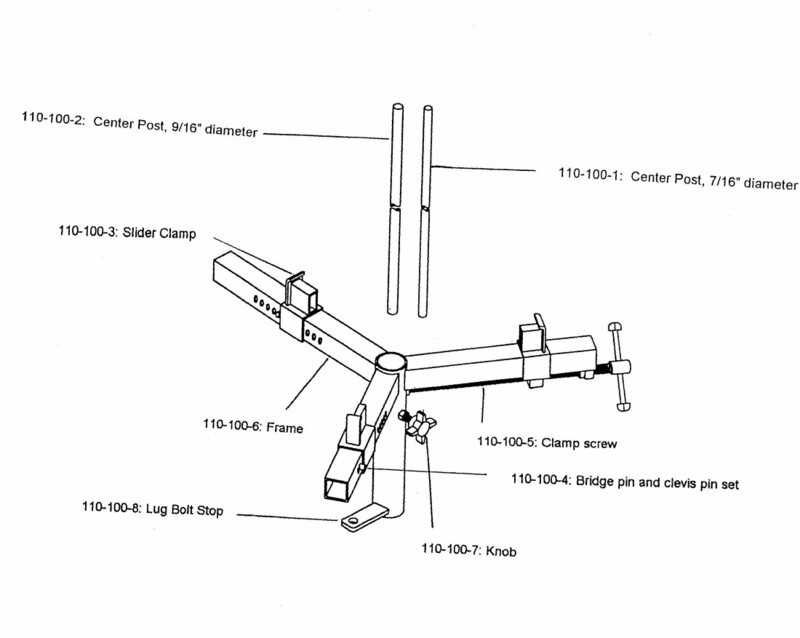 Model MC110-SSS: C shaped arm and center post assembly for BMW, Honda, and other wheels without a center hole through the rim (shaft drive machines). Attaches in seconds without any tools. Price is $79.95 Plus Shipping. Part # 110.CS Heavy Duty Wheel Clamp With Replacable Protective Plactic Pads (Set of 3). This set will fit old style Wikco Industries MC110.100 Motorcycle Tire Changers. Price is $139.95 Plus Shipping. Set of 3 Replacement Protective Pastic Pads $59.95 Plus Shipping. 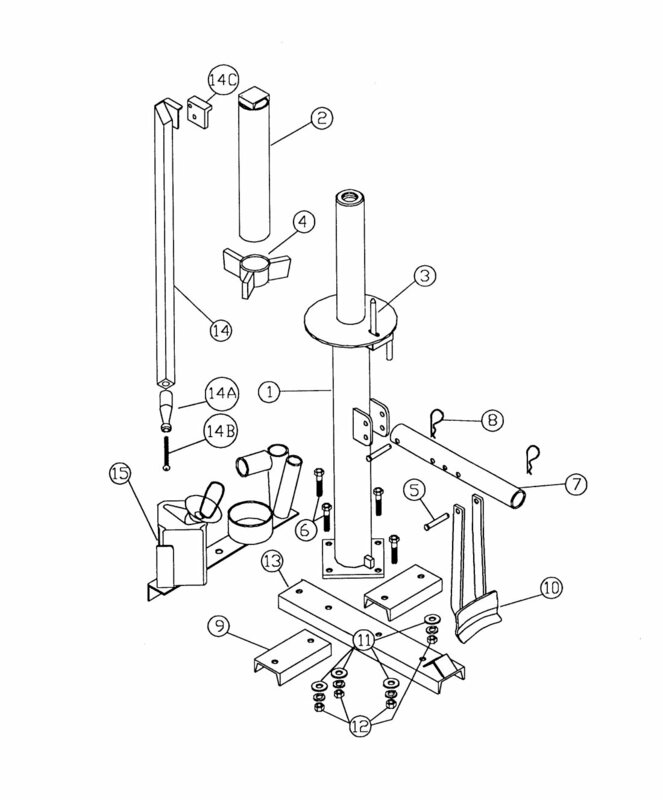 Wikco Brand Tire Changer Accessory. Price is $149.95 Plus Shipping. Changes tires on wheels with 3/4" center bearings such as ATV's, small farm implements, golf carts, go-carts, and most outdoor power equipment tires. Used by professional shops of all sizes, lawn and garden centers, power equipment shops, golf courses, city park departments, and do it yourself garages and shops. Comes complete with base plate, hold down cap, knob, and small demount / mount tire bar. The 109ATV Bead Breaker Shoe also has a lever arm that attaches so you can keep the bead breaker shoe tightly against the rim. Ideal for breaking the bead on ATV wheels, also the Bead Breaker Shoe works great on motorcycle wheels, now included is a protective plastic insert that will protect the wheels from scratching, and gouging. This item and all Wikco Industries tire changing tools and accessories are designed to fit only Wikco brand products, and are not recommended for use with other brand of tire changers. To Order Products or Parts, Call (800) 872 - 8864.